I pack my lunch for work almost every day and I love to use Bento Boxes. 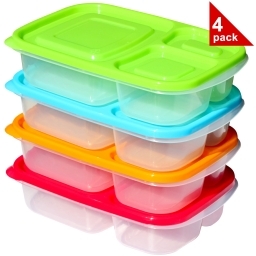 I found these from Sunsella Buddy Boxes – Plastic Bento Lunch Boxes #sunsellabuddybox. They come in a pack of 4 with very colorful lids. They are a nice size and have three compartments. The 1st compartment: 3 1/2 cups, 2nd compartment: 1 1/3 cups, 3rd compartment: 1 cup. They are perfect for a healthy lunch. Which is what I am trying to make for myself. I can have my salad, toppings and fruit for dessert all in one container. I also have put cheese, sausage and fruit in them for a night time snack – I prepare ahead and only have to grab the container and Rex and I have a healthy snack while watching TV. The Sunsella Buddy Boxes are BPA, phthalate and lead free, highly durable, meets FDA standards. They are microwave, dishwasher and freezer safe. 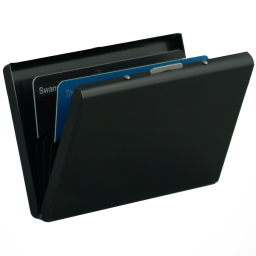 Conveniently stack together for space saving storage. They can be used over and over again. I know these will get lots of use at my house. If you want to purchase your own Sunsella Buddy Boxes – Plastic Bento Lunch Boxes you can do so on the link below from Amazon.com. You’ll be amazed at the versatility of these squares! You can crochet blankets that are perfect for babies, boys, girls, college kids, and grown-ups. Some are crazy, colorful, and fun; others are serene, classic, and sophisticated. Crochet them for bedrooms, family rooms, or dorms. 10 Granny Squares 30 Blankets provides enough designs to keep you crocheting blankets for everyone and every reason for years to come! 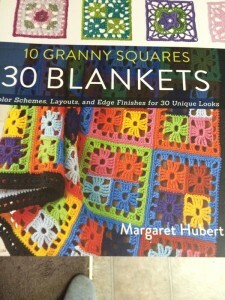 Margaret Hubert is the author of more than 20 crochet and knitting books, including Plus Size Crochet, Knits for Men, Knit or Crochet–Have It Your Way, The Complete Photo Guide to Crochet, The Complete Photo Guide to Knitting, The Granny Square Book, Lacework for Adventurous Crocheters, and Runway Crochet. She has enjoyed a lifelong career designing both crochet and knit patterns for yarn companies and book and magazine publishers. One of my favorite things I have is a blanket I got from a lady at church for my confirmation. I still have it even though it has be more than 30 years it was made with granny squares which I have always loved. 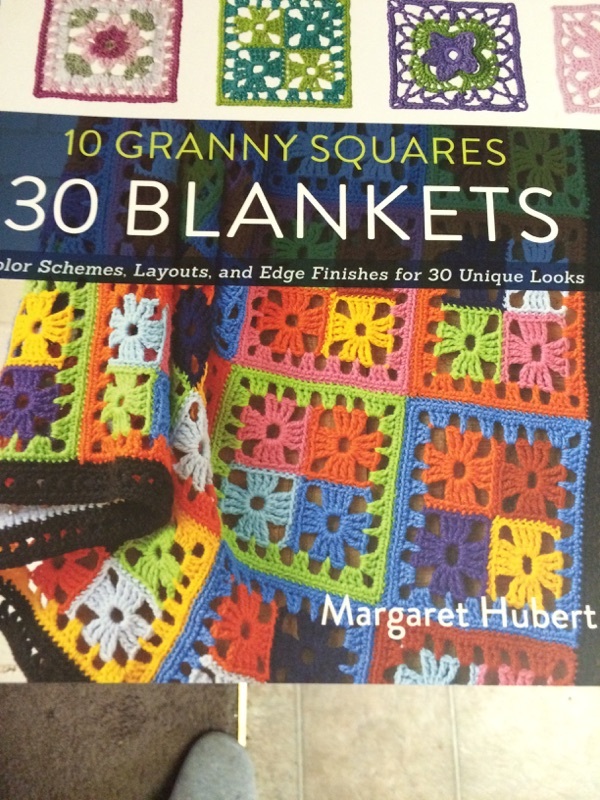 I have lots of scraps of yarn and I am going to try out some of the patterns in this book. My favorite pattern is on the cover. It is the Contemporary Quartet. I can use lots of my scarps to make the squares. There are other I like too. My favorite thing is to make a blanket and then give it away. This year for Christmas – I am making blankets for my sisters. I have two done – need to make one more. I think it will be out of this book! If you would like to purchase this book you can find it on the link below from Amazon.com. 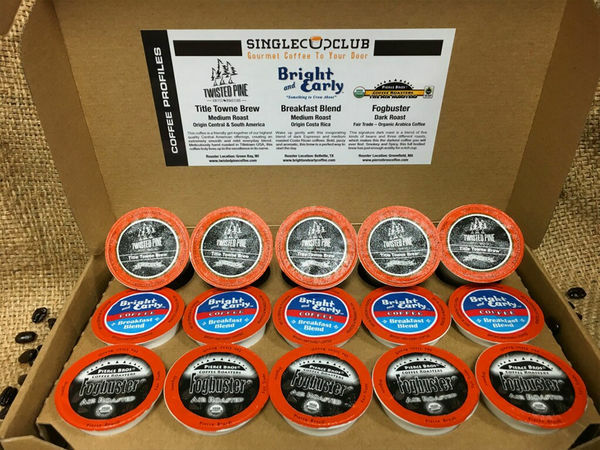 We or I should say Rex drinks a lot of coffee and I think he will love trying the different varieties . I can’t wait to get our first month. I love the glow of candles ~ it makes any place feel more warm and friendly. 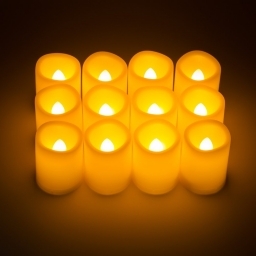 I recently received this set of 12 Timer Votive Flameless Battery Operated Candles from Kohree #TimerVotiveFlamelessBatteryOperatedCandles. They have a built in 5-hour on and 19 hours off timer. I can set them to come on right before I get home from work- when I walk in the door I have a warm relaxing home. No worries about messy wax or flames. They are safe around pets and children. Each light has approximately 400 hours of battery time and you can put in new batteries when these go out. They take CR2450 batteries. Right now I have a few of them in the bathroom, nothing like a bubble bath, wine and a candles glow! There are so many uses for these votive flameless candles – they could be used for a party, in a centerpiece, any special occasion or even for the holiday. I love scented candles but Rex doesn’t so these are perfect for us. I still get that soft candle glow and the flames look like they flicker. Rex is good with them as he won’t get headaches from the smell. 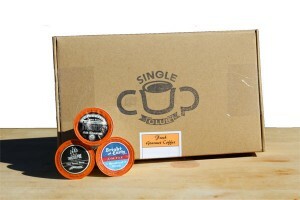 These would be a great gift for students in a dorm or your mom in a retirement home. If you would like to purchase your own Kohree Timer Votive Flameless Battery Operated Candles you can find them on the link below from Amazon.com. 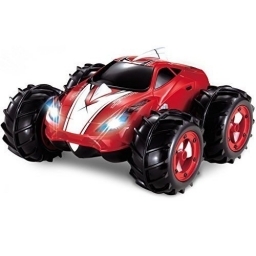 I am laughing because I just read the description of this Land & Water Amphibious RC Remote Control Car Red #RcCarRed it says it is for kids and talks about childhood. This RC car was for Rex and his 22 year old son to play with and they are not kids. They love it! They have been racing it in the parking lot. It has working headlights and can go in water or on land. The car is made out of high quality material and it is tough. The boys really have had a good time driving the car through puddles, mud and the dry parking lot. The car can do stunts and is pretty fast. The thing I really liked most about the car is that Rex and Joey do it together and they have had a lot of fun. I think this would make a great Christmas gift for any boy or man who is a kid at heart! If you would like to purchase your own Land & Water Amphibious RC Remote Control Car Red you can do so on the link below from Amazon.com. 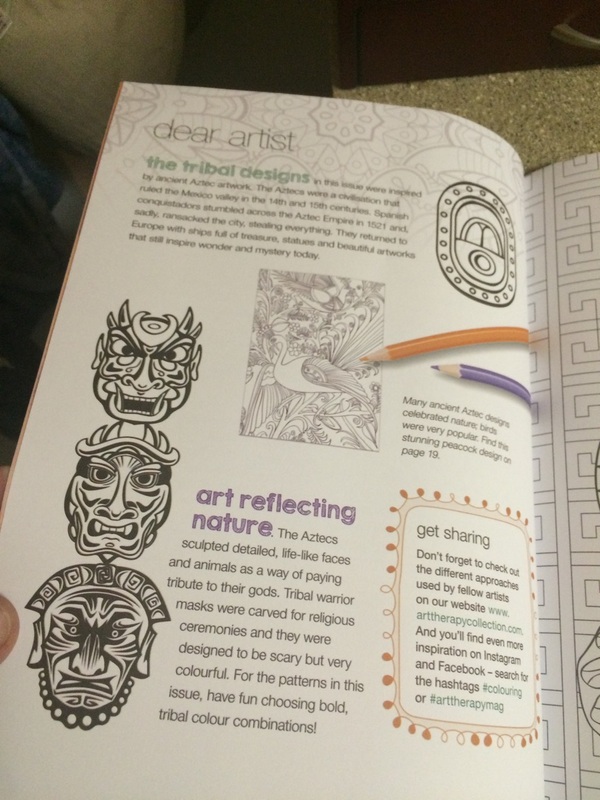 I really have gotten into the adult coloring books – as I have mentioned before. 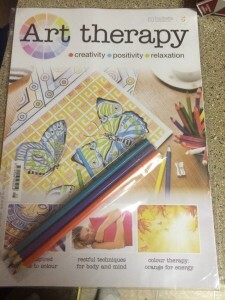 I found this place were you can get a subscription magazine called Art therapy. Every month, Art therapy brings you indispensable, artist-quality supplies that build up into a complete coloring set to create sensational pieces. Each issue is complemented by pencils or markers specially selected in a full spectrum of colors to add your own creative touch to the designs. Immerse yourself in coloring and be inspired to experiment and achieve stunning results. I like that the magazine has things for your creative side, helps with positive thinking and even helps gives you tips on relaxation. You will learn more about colors and what to use them for. The edition I have talks about the Aztec art. You can take the pages out of the book so you can frame and hang your art on your wall. Many of the designs are very pretty and can be colored with markers or pencils. Each one has 6 designs ready to put in a frame after you have colored them. The paper is thick and high quality. I really liked my first issue and I think I am going to continue getting them. This would be a great gift ~ each time a magazine is received you will be thought of. It also would be a great gift for yourself! You can start your subscription HERE. I have really gotten into the adult coloring books and I like to use colored pencils to color in them. The problem was keeping my pencils sharpened. 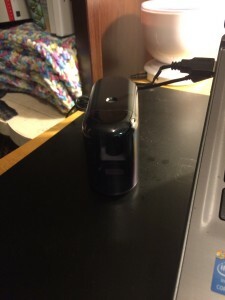 I was happy to get this Electric or Battery Operated Pencil Sharpener #Pencilsharpener. The pencil sharpener is very compact and sits on my desk at home. I can use batteries to keep it charged, plug it into my computer or even plug it into the wall. I like my pencils nice and sharp and this sharpener from Magicfly works good. It is fast and pretty quiet. There is a plastic see through container that the shavings go in. When it is full just remove and empty. The sharpener will not work when the container is removed. Great safety feature. I could also take the sharpener with me – it is very portable. This would be good for a class room, home or office. 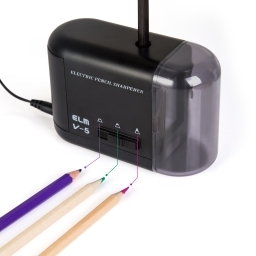 If you would like to purchase your own Magicfly Electric or Battery Operated Pencil Sharpener you can do so on the link below from Amazon.com. My family all lives back in Wisconsin so this time of year I use a lot of packing tape to mail packages back home. 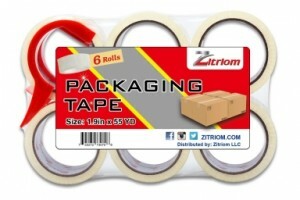 I recently started using this packing tape for moving with a dispenser included from Zitriom #zitriom. It works great! There are 6 rolls in the package and each one is 1.9 in by 55 YD. It is very sticky and made with the highest quality materials. It is easy to use with the dispenser and I can tape up a box in the matter of minutes. I like that the tape is so strong and I don’t have to wrap the box in tape in order to make sure it will stay closed. Using the dispenser makes it easy to cut the tape ~ you would not be able to just tear it off it is strong and would need to be cut. 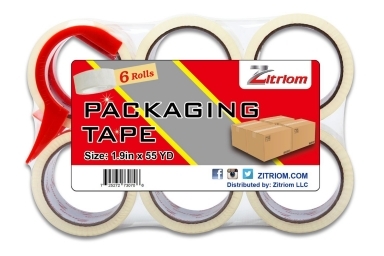 This tape not only is great for boxes you ship – it is good for boxes you store or move. The tape is made for all-season and holds during extreme hot or cold temperatures. If you are looking for shipping or industrial packing tape you can purchase your own on the link below from Amazon.com. Rex and I love to have our friends over to play games. 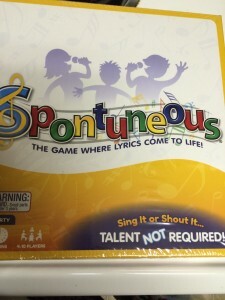 Last weekend we had a few friends over to play Spontuneous which is a game that music lovers would love. 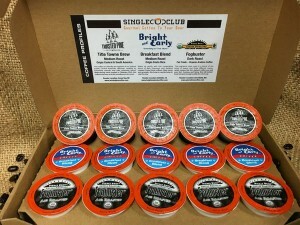 We along with 99 other people hosted the Spontuneous game night with Tryazon home party! We had a few less people than we had planned with one of the families being sick – but we had a great time competing against each other to quickly sing songs using trigger words. One of our friends came with his family and boy does he like to win! It was so much fun and everyone was laughing. The fun thing is it takes no talent to play and I really have no singing talent. Although it’s tons of fun, Spontuneous is also good for your brain. It improves memory recall and word association skills. Every game is unique and never grows old; which means it has excellent replay value. The 50 Spontuneous Challenge Cards add an element of strategy and chance for more fun! Along with the game we had some snacks and drinks – I think a great time was had by everyone who attended. The game was a hit and has already be decide to have another game night next month! If you would like to purchase this fun game you can find it on the link below from Amazon.com. I liked how durable and strong the case was. It was slim and light weight and easy to carry in your pocket or small purse. I found it opened easily so no fumbling with it. It comes in a nice black color. It also came in a nice box already for gift giving. If you are looking to get a better organized yourself or want to give this as a gift for the holidays you can find a link below from Amazon.com to purchase it.